It sounds like something out of science fiction, but a magnetic skyrmion is a real thing, and skyrmion-based devices might someday dominate data storage and processing, combining high speed, low energy consumption, and small size. UC Santa Cruz physicist David Lederman studies the materials needed to create and control skrymions, which are very stable, very small magnetic structures. He leads a team of scientists and engineers at three UC campuses and a national laboratory who are working to understand the fundamental physics of these structures while assessing the feasibility of using them in data storage and processing devices. Like the field of materials science in general, the project straddles the divide between basic and applied research. "There's a lot of fundamental science involved, but at the end of the day, you want to come up with something useful," Lederman said. Materials science is also inherently interdisciplinary, he said, involving chemistry, physics, engineering, and even biology. 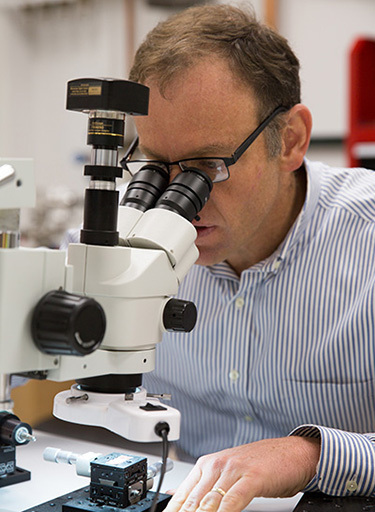 Lederman directs the Materials Science and Engineering Initiative at UC Santa Cruz, which includes faculty in several departments in the Division of Physical and Biological Sciences and the Baskin School of Engineering. Marco Rolandi, for example, is an associate professor of electrical engineering who looks to biological systems for inspiration in developing innovative materials, including biocompatible materials for implantable medical devices. One spin-off from his lab is a biodegradable alternative to polyurethane and polystyrene foams for surfboards. Cruz Foam, a company cofounded this year by Rolandi and graduate students John Felts and Xiaolin Zhang, uses shrimp shells, discarded by the millions of tons per year, to make a sustainable structural foam. Shrimp shells, like the exoskeletons of all crustaceans and insects, contain a natural polymer called chitin. "It's like the cellulose of the sea, but instead of making paper out of trees, we're taking a waste product from the seafood industry and transforming it into something of value using a water-based, environmentally friendly process," Rolandi said. "Right now we're targeting surfboards, but lots of things are made of foam, so there are other possibilities." Sustainability is a central focus of the materials science efforts at UC Santa Cruz. Researchers in physics, chemistry, and electrical engineering are investigating new materials for photovoltaic cells and other solar energy conversion technologies, as well as materials for fuel cells, energy storage devices, and more efficient electronics. "In electronics, we're always looking to use less power," Lederman said. "And sustainability means not just energy efficiency but also water efficiency, so we need to develop industrial processes that use less water and less energy. There is a lot of interest on campus in solving these problems, and we want to be part of the solution." In recent decades, nanotechnology has come to play an increasingly important role in materials science. The properties of materials change dramatically when their dimensions approach the scale of nanometers (one nanometer is a billionth of a meter, so there are more than 25 million nanometers in an inch). Nanostructured materials have a wide range of applications. Chemistry professor Jin Zhang began studying nanoparticles shortly after he arrived at UC Santa Cruz in 1992. "We got lucky going into nanotechnology in the early stages, not realizing that it would be such a hot field later on," Zhang said. "We want to understand the fundamental properties of these materials, because that matters for how they function in applications such as solar energy conversion, energy storage, and even cancer treatment." The number of faculty engaged in materials science research at UC Santa Cruz has grown significantly, creating more opportunities for collaboration, Zhang said. "You want to have a critical mass of people for good interactions and collaborations," he said. "A lot of the things I'm most proud of in my work came about through chance meetings and just talking to people. It can change your whole scientific career sometimes." Zhang and other senior faculty, such as chemist Shaowei Chen, physicists Lederman and Sue Carter, and electrical engineer Nobuhiko Kobayashi, have well-established reputations in the field of materials science, which has helped the campus attract a number of talented young faculty members. Yuan Ping, assistant professor of chemistry and biochemistry, is among the new materials science faculty hired in the past few years. Ping's specialty is computational materials science, developing and using advanced computational methods to predict the properties of materials. As a theorist, she works closely with experimental researchers to help them develop novel materials with the properties needed for applications such as photovoltaic cells, batteries, or hydrogen fuel cells. "We develop new theoretical and computational methods and use high-performance computing to do realistic simulations of complex materials and nanostructures," Ping said. "We always work in a loop with experimentalists. Their results feed into my models, and I can tell them, for example, if you tune a certain parameter you can get a different result, and then they do experiments to validate that." 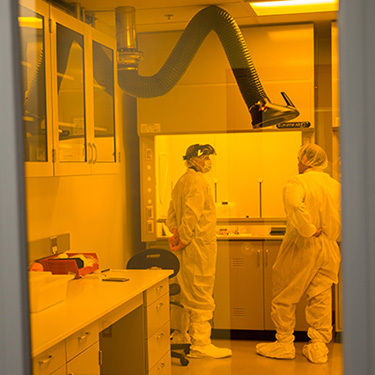 The campus has built new materials science laboratories at 2300 Delaware Avenue, a former Texas Instruments facility bought by UCSC in 2004. "The labs are beautiful, with state-of-the-art equipment, and there's room for expansion in the future," Lederman said. 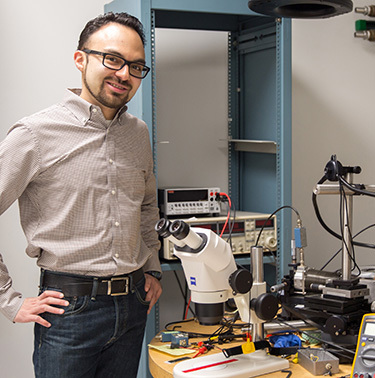 Jairo Velasco, an assistant professor of physics, is one of four faculty members in the new laboratories. He studies the novel electronic properties that emerge in nanoscale devices based on layered, two-dimensional materials. Graphene, for example, is a thin layer of carbon atoms bonded in a hexagonal honeycomb pattern, and it has received a lot of attention for its unusual properties. 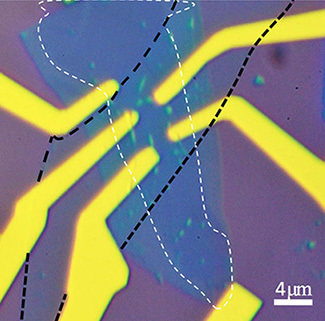 "These materials are exciting both for the potential technological applications in electronic devices, and also because they offer opportunities to explore important fundamental questions in physics," Velasco said. Velasco and Ping both arrived at UCSC last summer and are excited about developing new collaborations with their colleagues on campus. They are working on a proposal together to investigate defects in two-dimensional materials that could potentially be used as a platform for quantum computing. "Materials science requires a high level of collaboration between experimentalists and theorists, and also between scientists in different disciplines," Velasco said. "It's also a research direction that easily incorporates undergraduate participation, and students find it interesting because we're developing new ideas for technology that they could be using on an everyday basis in the future." An Undergraduate Research Summer Program on Sustainable Materials at UC Santa Cruz was just funded by the National Science Foundation (NSF). Lederman leads the program, which aims to increase the retention and graduation rates of underrepresented minorities and women in science and engineering. It will focus on recruiting motivated students from community colleges and other minority-serving undergraduate institutions in Santa Cruz and Santa Clara counties. Students in the program will work on interdisciplinary research projects in materials science and engineering, gaining valuable experience and perhaps being inspired to pursue graduate studies in the field. 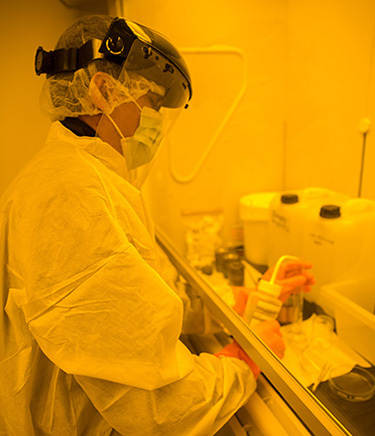 This grant from NSF's highly competitive Research Experience for Undergraduates program is just one indication of UCSC's emerging strength in materials science and engineering.